The Church: damn it's cool. When you walk in, it's easy to consider it a regular pub with it's stereotypical features of a high, dark bar, but look a little closer and you'll find they stock local beers and ales, oh, and you'll have to have walked in blind because the outside is slick, and sophisticated. 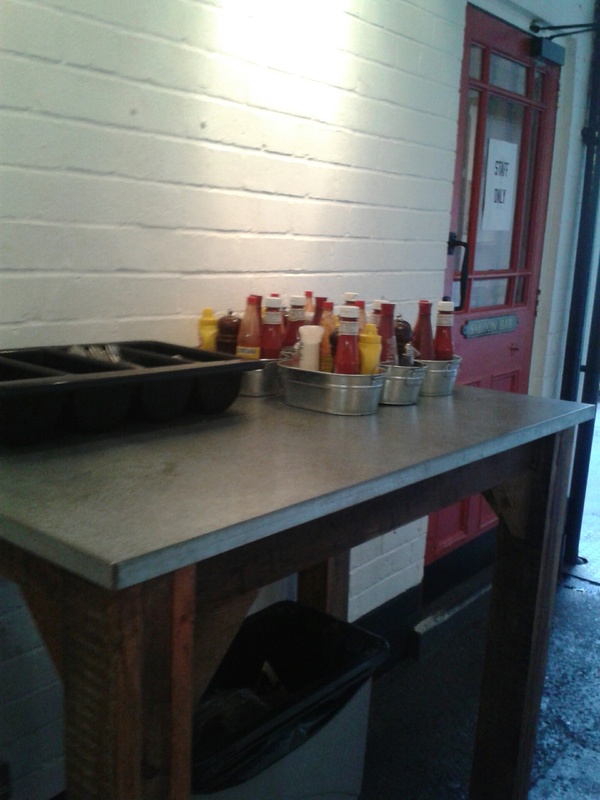 They practise and preach the Soul Food Project, so the food is scrum-diddly. Louisiana and New Orleans inspire the menu, so think hush-puppies and Southern-style seasoning and flavours. The deep-South theme carries on with their juke box: when you walk in a hum of country-music beats with a quick tempo provides a home-down, eat-in-the-streets ambience. 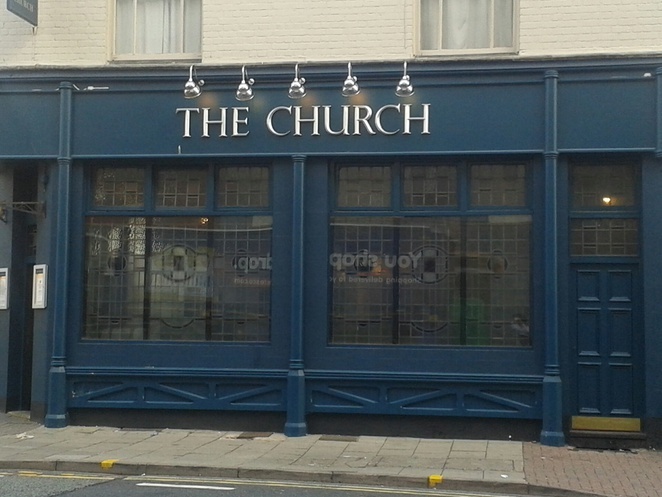 A friend mentioned that the food and the rooftop at The Church were both fabulous, however I was sceptical because it's a pub, and in my opinion, if it's not a gastropub, it isn't worth my time. Nonetheless, arm twisted by my friend's incessant protestations, we went along on a sunny Sunday a couple of months ago. Their 'crayfish boil' sounded pretty good, and surprisingly it was great. In keeping with the culinary theme, it promised to be a traditional Louisiana-style feast, and they baked brownies for dessert too. Admittedly the brownies weren't as good as mine (they never are), but the crayfish was well-flavoured, succulent, and tender. An almost-lazy, but mostly relaxed approached to service, makes you feel like you're being served by your mates, instead of bar staff. The speed of service is also pretty good. We decided to sit up on the roof terrace for the weekly cook-out earlier this summer - access via the back of the pub, which was lush. Atmospheric and picturesque, the roof top terrace is more than extra seating. It makes you feel pretty good, especially when you're in the jewellery quarter, eating good grub, overlooking the people milling about below. 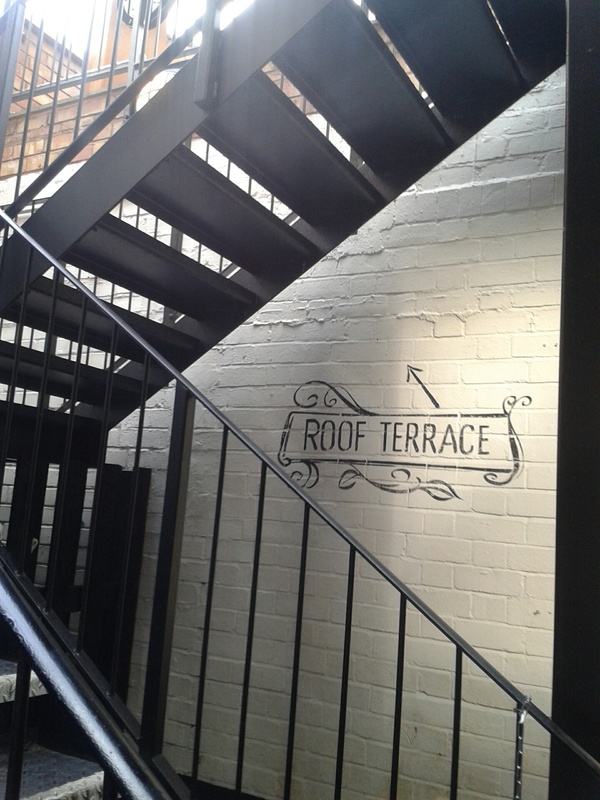 To the right of the toilets is the open space which gives access to the roof terrace, and the back dining area of the pub. Full of twists and turns, and open and closed areas The Church, ignited my curiosity, and when I spoke to the manager behind the bar he told me they haul up the condiments stand to the roof terrace when they serve meals up there. The female toilets are pretty cool (always a sign of a winning place). They have both a full length and higher, wall mounted mirrors, which is perfect when there's more than one person using the cubicles. The smaller, but higher mirror, is surrounded by a bronze art-deco frame, which I found rather beautiful. On the back of the cubicle doors is the £5.00 lunch menu. For the quality of food that's served, and location of the pub, it's incredible value for money. Interestingly the pub, even though it's a 2-minute drive from the city centre, and about a 10-minute walk, is still charming and slightly eclectic. 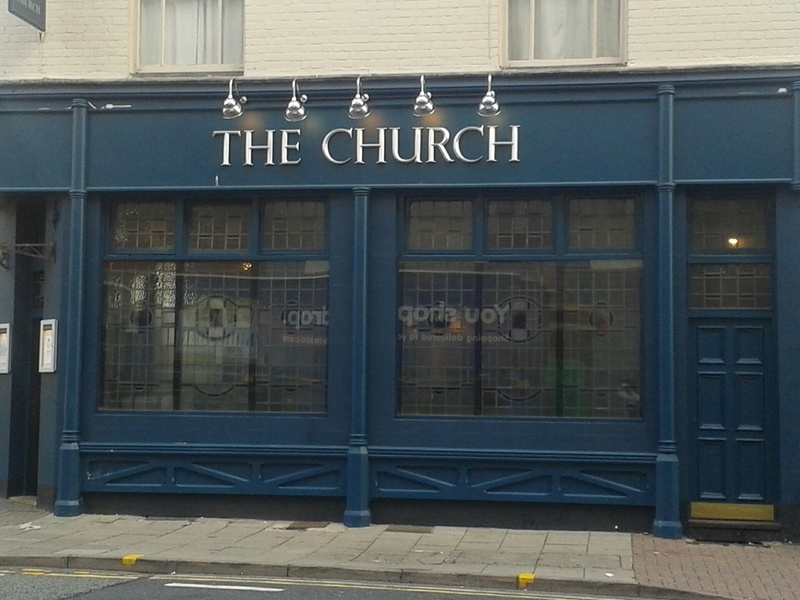 City pubs overall seem to lose that quality, but The Church feels like a local, with a classier polish. I loved the indie-hipster vibe, which is totally my thing, but it still worked as a traditional pub; serving incredible food, local beer, and attracting a friendly crowd. 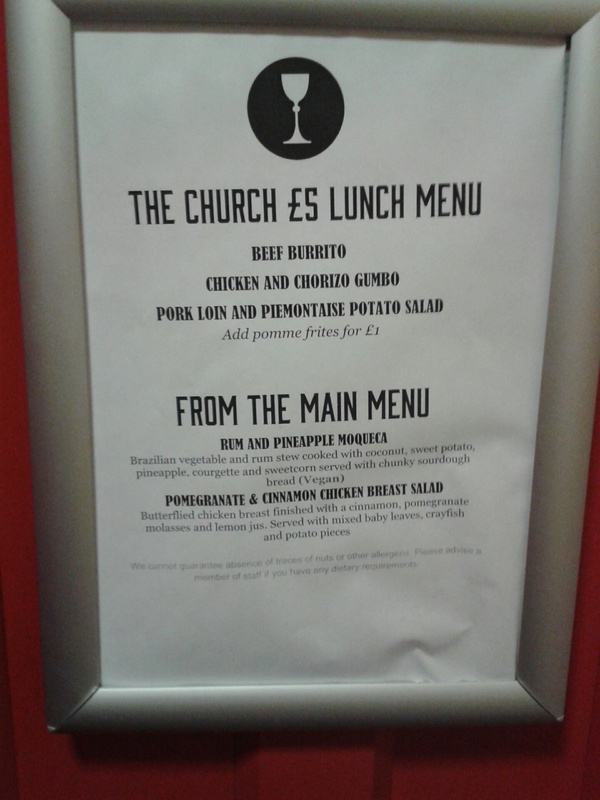 I'm really not a pub person, but The Church is something altogether holy.